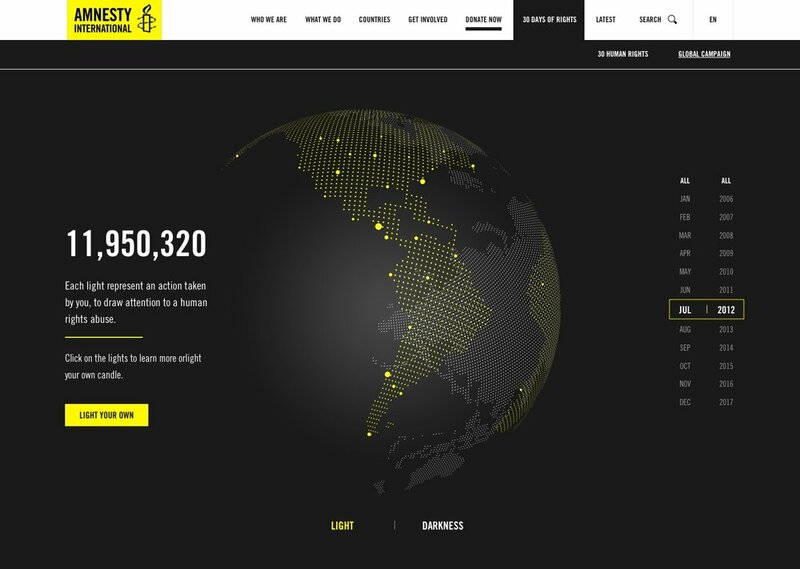 Amnesty International are famous for their reports and petitions, but some within the organisation think its public image has drifted far too far from its grass-roots origins and does not reflect its global activities. 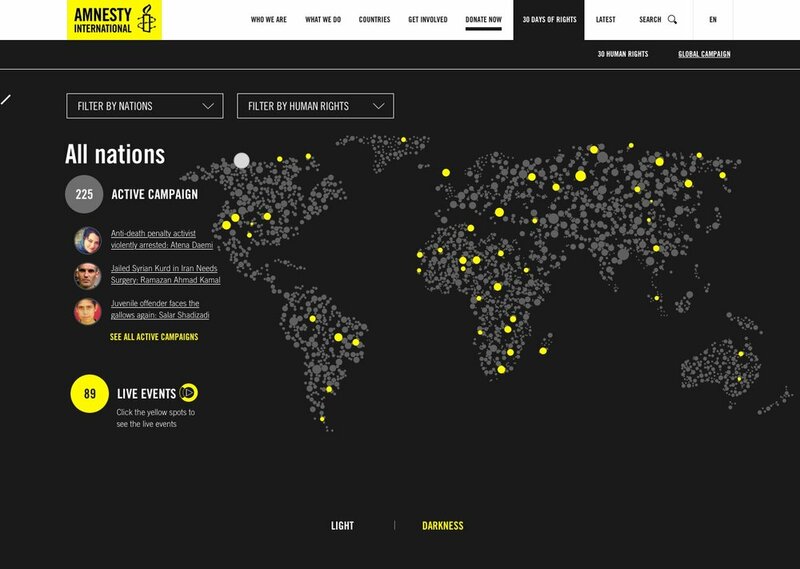 We were asked to come up with a new vision of what Amnesty could be, a "people-power driven activist movement" and to operate on a global scale and not in "very confined local silos" as they are is presently. This was a fast paced project so there was no time for stakeholder interviews. 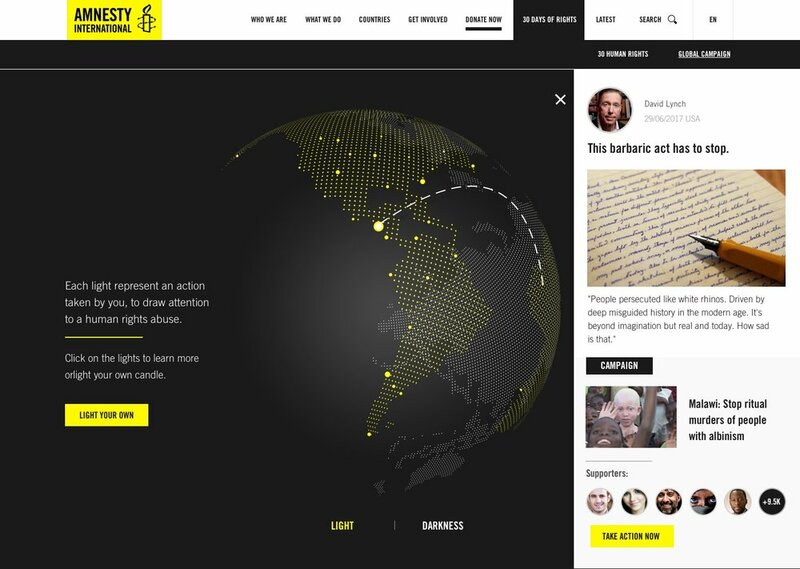 The first thing was reading the human rights act, studying the history of Amnesty and see what they are presently up to, including reading much of their current literature and scanning social media to try to assess activities of their current activists. 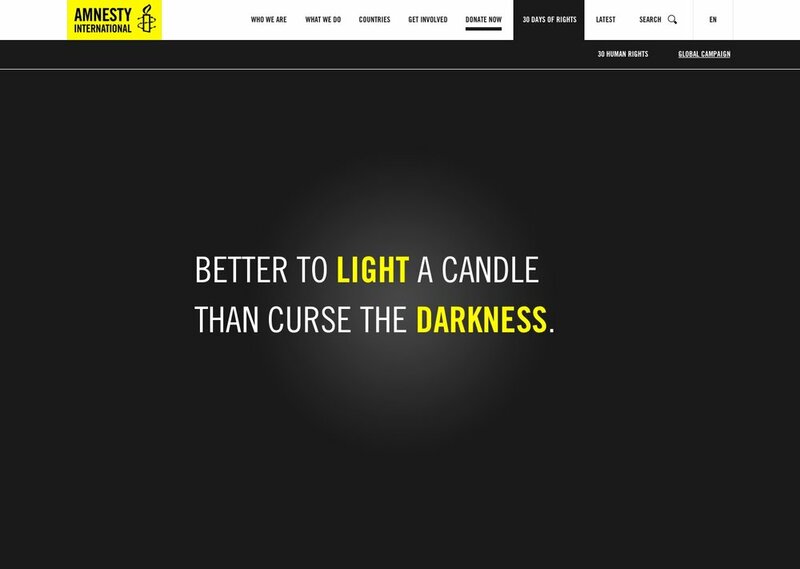 I discovered why candle-lighting was so important an act to Amnesty, as it derived from an old Chinese proverb; "better to light a candle than to curse the darkness". 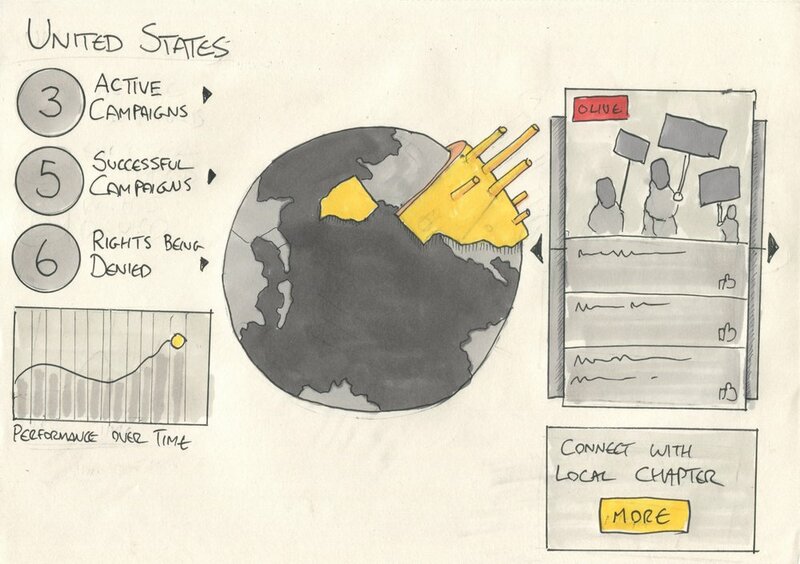 After an ideation workshop with colleagues and some back and forth, I sketched out and quickly prototyped a vision of a "google earth for activism", offering a real-time global interface that would track photos and live-streams of protests and other activities, offer data visualisation of what countries are breaching which rights, and prominent means to get involved. 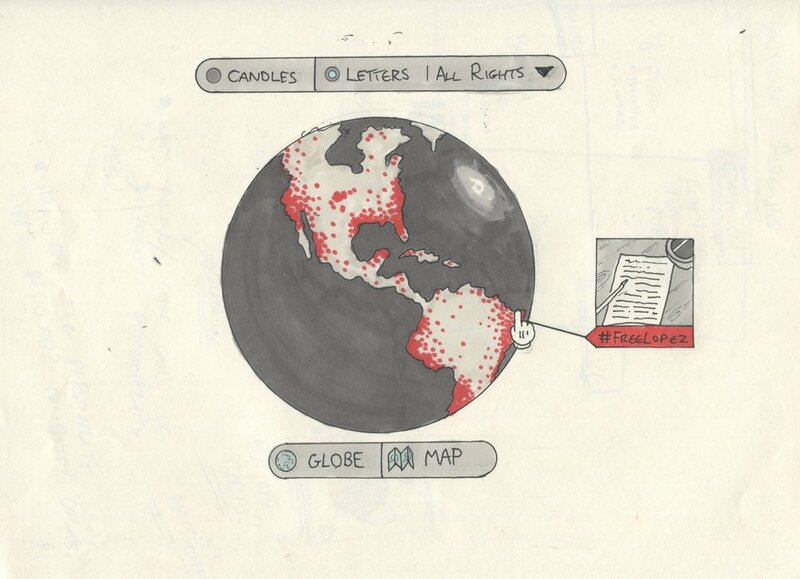 This was by "lighting a candle" which was reimagined as lighting up a point of light on the globe, so small acts could contribute to a global effect. 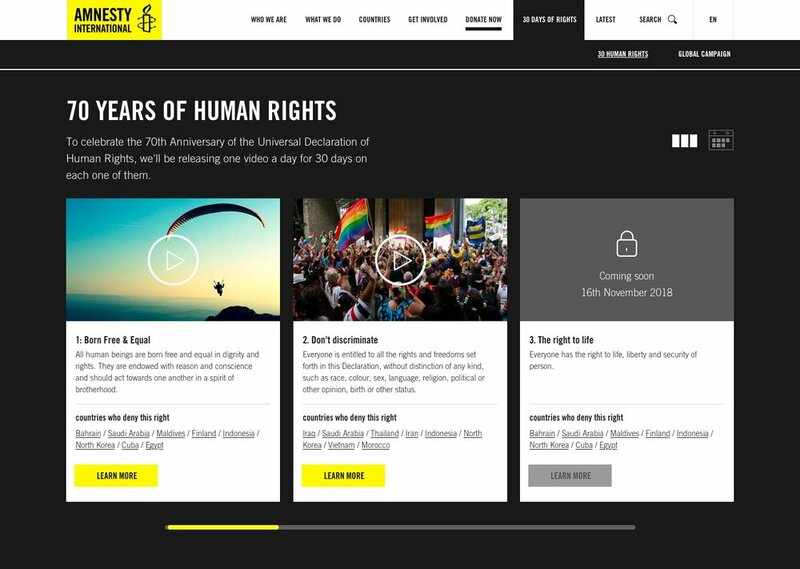 This was to be complemented and interlinked with a directory of 30 videos explaining each one of the 30 human rights - one released each day in the lead-up to the 70th anniversary of the human rights act. My colleague, Senior Designer Kardo Ayoub, fleshed out the ideas in a series of designs, adding additional stylistic elements. This project was not an endpoint, but a beginning. The prototype and designs are currently being used within the organisation to prompt discussions around their future global strategy and the technology platforms that will support it. 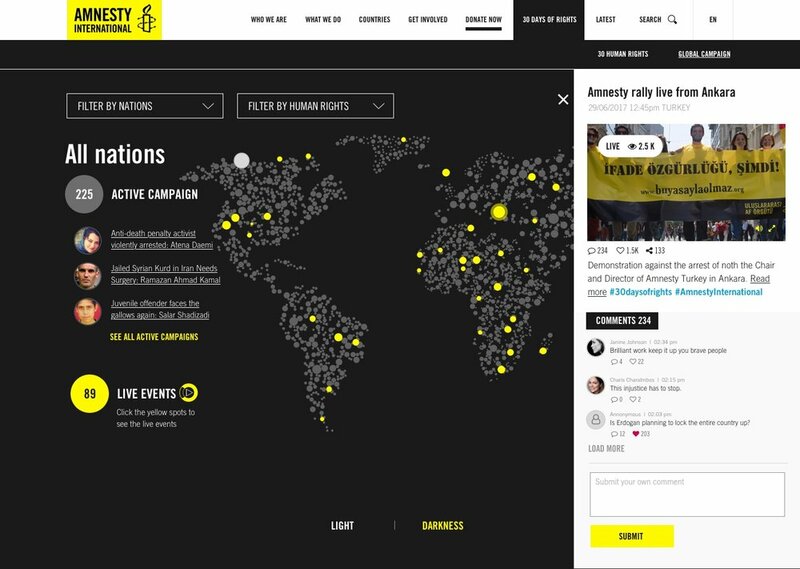 Our immediate client - who wishes to remain anonymous - said that the scale of our vision was far beyond work he had seen coming from other agencies, such as Ogilvy (Amnesty use quite a few!). Time will tell if the project emerges into a full-blown campaign.